The Anadol, built by Otosan Limited in Istanbul has a plastic body and Ford engine. 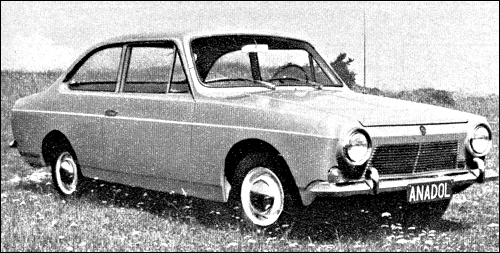 It was developed by Reliant in England. In October 1968 the Cortina engine was replaced with the stronger 1300 cc Kent power unit.